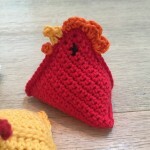 You are here: Home / Patterns and Designs / Easter Chicken Bean Bags! 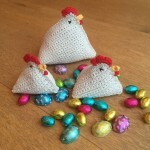 It is fast approaching Easter so I have been asking everyone if they want to buy some Easter Chicken Bean Bags! 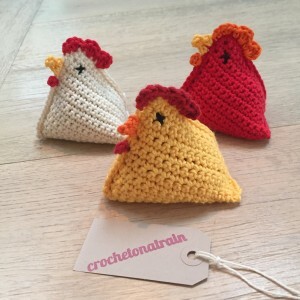 They have been selling like hotcakes – I have been crocheting on the train to and from work daily in order to get them all done. 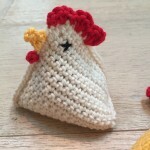 I hope to make them in every colour by the time it is Easter! 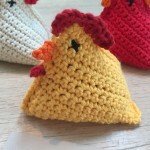 Remember you can buy one from me, here on my etsy shop.